Event design and coordination for a Scripps Seaside Forum wedding by I Do...Weddings & Events. 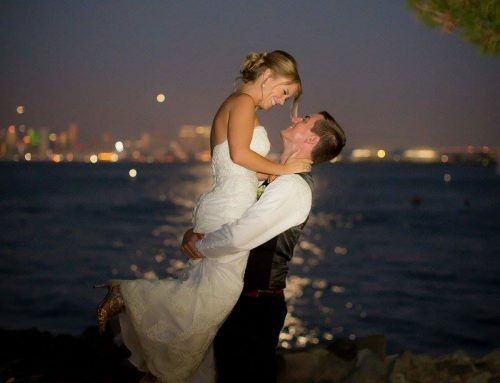 Marissa married Tony in July at Scripps Seaside Forum. The wedding was set on the lawn at Scripps facing the La Jolla Cove! It was a beautiful day, sunny and bright for their wedding. The bride and groom decided not to see each other before the wedding and when they finally did at the altar it was amazing! This was such a joyful wedding. You could tell that this couple was definitely in love! The wedding had a beachy feel to it. Marissa even had the place cards in a box of sand so that guests would get into the beachy setting. The Scripps Forum layout a great location for brides and grooms to play with wedding details, and Marissa and Tony did just that. There were soft accents of orange at each guest table. As favors guests were treated to individual bottles of mini champagne, and almonds wrapped in white and ivory. Everyone loved it! Once the reception started no one left the dance floor. It was definitely a wedding that everyone enjoyed. At one point the bride even asked me to dance with her 19-year-old cousin. I felt like part of the family. This is how everyone felt in the warmth of Marissa and Tony’s wedding. The glowing up lights on the building and palm trees invited guests to enjoy the summer beach just steps from the reception. This wedding was a great representation of the bride and groom. Thank you to Marissa and Tony for allowing me to share in their special day!